Full Description: As a child, Dr. Claudia Cottrell, raised kittens to give away to farm and town folks. She loved to fish, spent hours in and by the family lake cabin, hung around the swamp near home catching whatever little critters she could find, and dreamed about having a horse, which never happened. Her love of fishing with her dad and uncle sent her to California from Minnesota to earn a B.S. Degree in Fisheries biology in 1974. During her 12 years in northern California, Dr. Claudia became a runner and an aerobics dance instructor. The intense level of activity caused a hip injury, which sent her to the chiropractor for the first time. This is where the “seed” of chiropractic was planted. After getting married and moving back to Minnesota, she enrolled in Northwestern College of Chiropractic, graduating in 1991. After practicing for over 20 years, she felt like she needed a change. 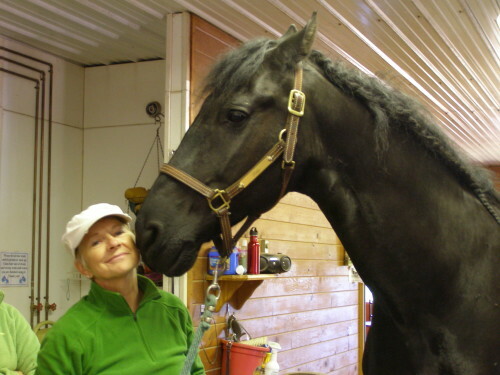 One of her patients, a horse owner, told her that she had her horse adjusted. Dr. Claudia had a close friend who had become and animal chiropractor, also Dr. Claudia had taked her own cats and dog to a vet who was an animal chiropractor. After talking to both women, and researching the few schools in the U.S., she enrolled in Options For Animals School of Animal Chiropractic in Wellsville, Kansas. Not only was Dr. Claudia impressed with the level of excellence of the program, but her passion for chiropractic was reignited. She received her diploma in August of 2011 as well as her certification as an animal chiropractor from the International Veterinary Chiropractic Association. Dr. Claudia is also licensed in the State of Minnesota with the Board of Chirpractic Examiners. Dr. Claudia earned an Advanced Animal Chiropractic Certification, as well as certification in Chiropractic Manipulative Reflex Technique (CMRT) in 2013 from Options For Animals. Dr. Claudia loves all animals, and working with horses, dogs, and cats to relieve their pain and restore function is pure joy to her. Many of her animal clients have been through failed medical treatments, even to the point where the owners were considering euthanization. To be able to restore health to those animals is an unbelievable experience. Most of the time, her animal patients respond so much quicker that human patients, which makes everyone happy! Dr. Claudia refers many of her patients for massage therapy as well as acupuncture. Her practice is now nearly 100% animals. Dr. Claudia has build a strong referral relationship with many of the areas veterinarians. Dr. Claudia has two adult sons, and currently lives in Hermantown, Minnesota with her husband Harry, two cats and a dog.